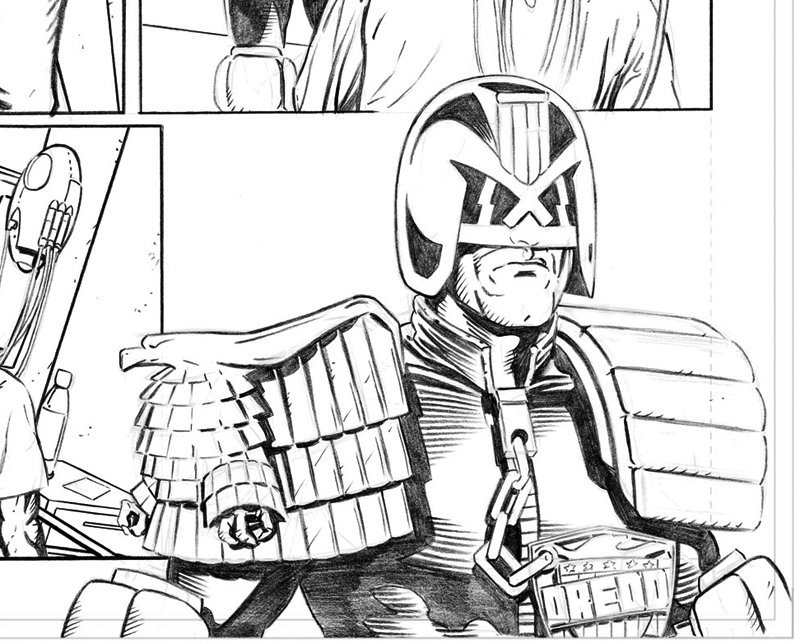 Out in the newsagent of your choice today (18th) is my first Judge Dredd story in the Judge Dredd Megazine issue number 301. Called ‘The Natural’, written by Gordon Rennie, pencils by me, inks by Gary Erskine and colours by Chris Blythe. A great team effort over twelve pages see the lawman of the future tackle the security issues of a naturally gifted athlete in the Mega-City Games. Go buy it!